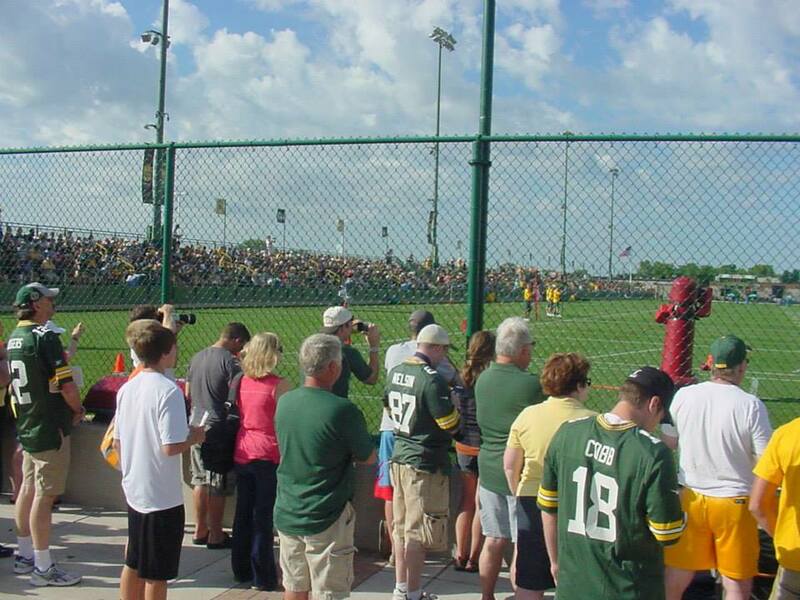 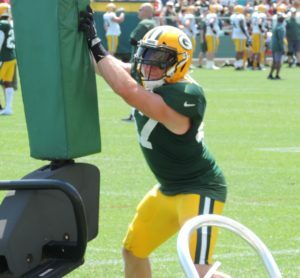 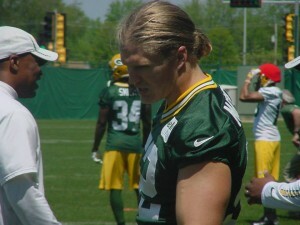 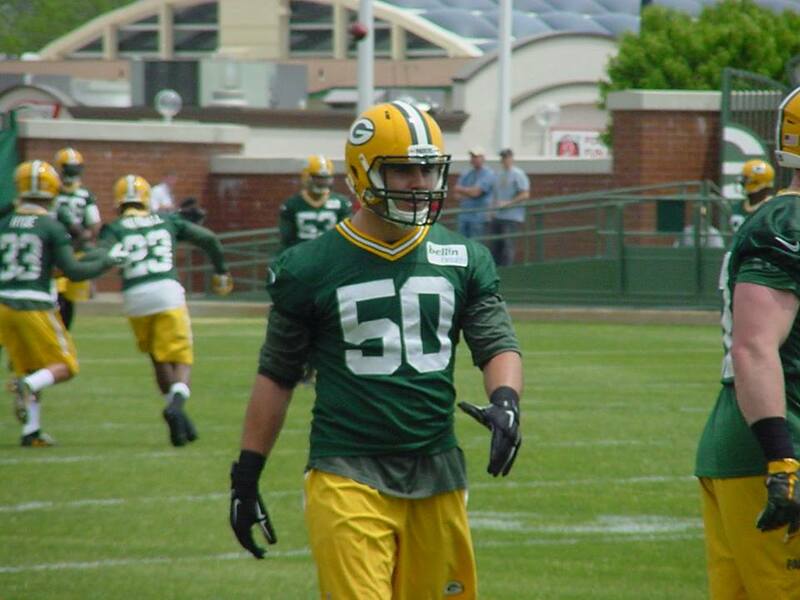 Green Bay Packers linebacker Clay Matthews skipped training camp practice for the second straight day on Tuesday. 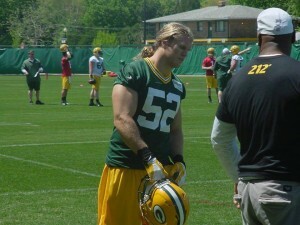 He continued to rest his sore knee that he first experienced on Saturday. Matthews not practicing opens the door for a number of other inside linebackers to get valuable opportunities alongside Sam Barrington. The problem is, those linebackers aren’t producing. 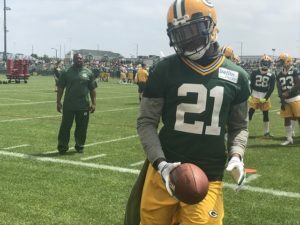 The players vying for added opportunities are Nate Palmer, who is practicing with a club like cast, Carl Bradford, Joe Thomas and rookie Jake Ryan. 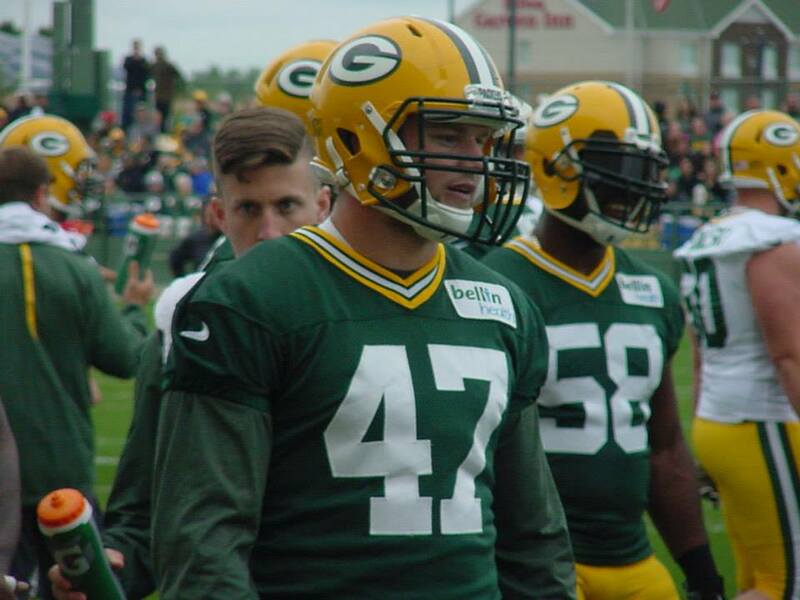 Palmer is getting the majority of the first team reps with Barrington. When the Green Bay Packers didn’t select a middle linebacker until the third day of the recent NFL Draft, reporters buzzed GM Ted Thompson with questions about the lack of urgency at linebacker. After the second night of the draft, Thompson assured reporters that the Packers would be just fine at inside linebacker and felt they had current options on their roster.